It's the way all entrepreneurs can earn money selling directly Vigeowebsite using our platform. You do not need to invest money to start earning it. Vigeowebsite is the most innovative Service that completely transforms the concept of Website Builder. To Qualify for Reseller Program you must have PayPal account associated with the email address that you wish to register with us and know about the service we provide. It's that easy to qualify! We send you an email with the information and instructions necessary to verify the email address you have provided to us when you qualified. You do not need to invest money to start earning it. You get a commission of $50 for referring new customers to us. You have live stats/info from your Reseller Area. These statistics are in real time and update instanly, transparency is very important to us! 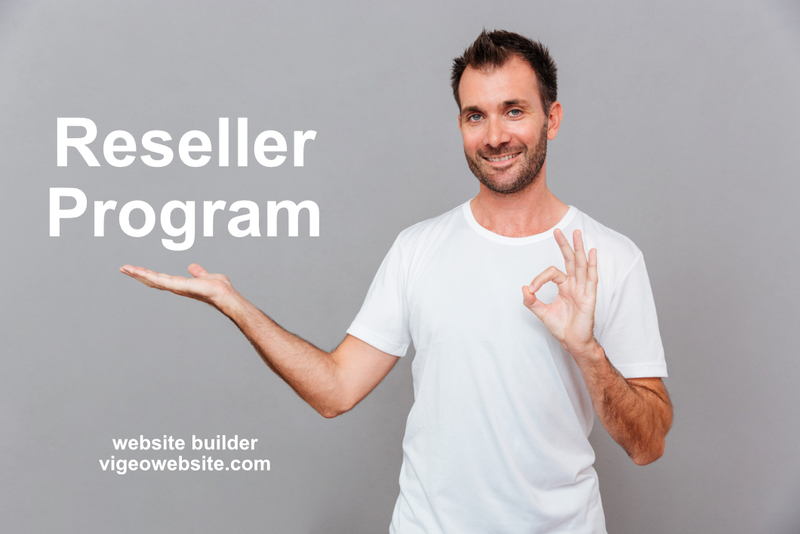 Reseller Program allows you to make direct sales of our service without it is necessary that you take care of any technical aspect or support some. The Reseller Agreement establishes the bases of the Reseller Program and you agree to be bound by this agreement if you decide to participate in the program. Only you decide the best time to transform your Available Commissions Balance into transfers to your PayPal account associated with your email. You just have to have PayPal account associated with the email address that you wish to register with us, open a ticket to the Sales Department and Request to join as Qualified Reseller (Ticket Subject).